If you have SQL Server databases and you are unsure if they are still in use then you can use this query to show you the last access time since the server was rebooted. 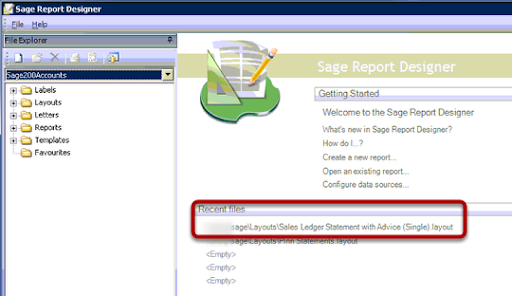 How to allow users change the settings in a Sage 200 report so that the users can select different paper trays on the fly. A common problem is that a users need to print page 1 to Letterhead paper and then the other pages to Plain paper, but if they change the paper tray settings they find that the report will become out of line and not print correctly. 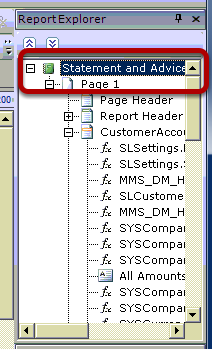 Open the Report Designer in Sage 200 so that you can edit the report in question. In the right hand top pane you can select the Report Explorer, highlight the report title. Here is the crucial part, the properties. 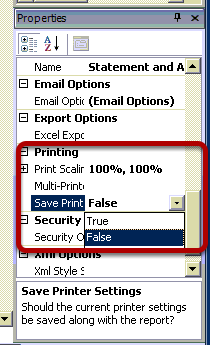 In the Printing section you can see the option Save Print this must be set to false to allow the user to change settings on the fly without it altering the content of the report.